I remember Hailey as a baby, she loved interacting, playing, showing off, loved attention, loved to play games, loved “clap handies”, loved all the games you play with little people. Everything came so easy to her, she learned to speak early, met all her milestones on schedule, did everything “typically” expected of little children. On the day Conor was born all my expectations, hopes and dreams changed forever as he was born with Special Needs. I didn’t know it on that day but Conor would struggle everyday of his little life on some level. I remember over the years feeling so lonesome when I tried to play simple games like “peek a boo” with him, or “clap handies”, he was oblivious to me and didn’t want me around. He wanted to stay in his own little world, lining objects up, obsessively watching the same cartoons over and over and over again. If he would let me read to him it would only be certain parts of books and every single time it was always the same page, the same lines, the same characters. I just remember wishing there was someway back, to have Conor back in my life, to know he was happy, that we had that “connection” that came so naturally between Hailey and I. I remember crying so many times wishing there was some way for us to really “be” together, even if it was just for a moment. I wanted my gorgeous Conor to know me, love me and want to spend some of his time with me. I longed for his smile, I longed for his lovely laugh and bright eyes to look so deeply in to my own. I did get my wish one day in the most unexpected way. By the time Conor was almost 2.5 years old he had begun intensive early intervention with Western Care. We worked from the beginning with an amazing Resource Worker called Mary; she had years of experience and expertise with helping children with Autism just like Conor re-connect and thrive. Mary always had bag of her trusted toys and games with her on her visits to work with Conor. There was always one brand in particular that I noticed she always had with her. They were Orchard Toys games. From the very beginning the games she had with her sparked Conor’s attention. I remember that first day he smiled up at me when he was playing and learning with Mary. He was playing a matching game, and was so thrilled that he was able to do it and of course I was crying when he leaned over for me to give him a “well done” kiss for all his hard work! After that first day “Orchard Toys” were a staple in Conor’s Therapy Sessions with Mary and also with his Speech Therapist. I found a way to re-connect with Conor, to help build a bond between us again by playing with his beloved games. He was so excited every time he would get to play with one of his Orchard Toys games, I could see the sparkle come back into his beautiful eyes. 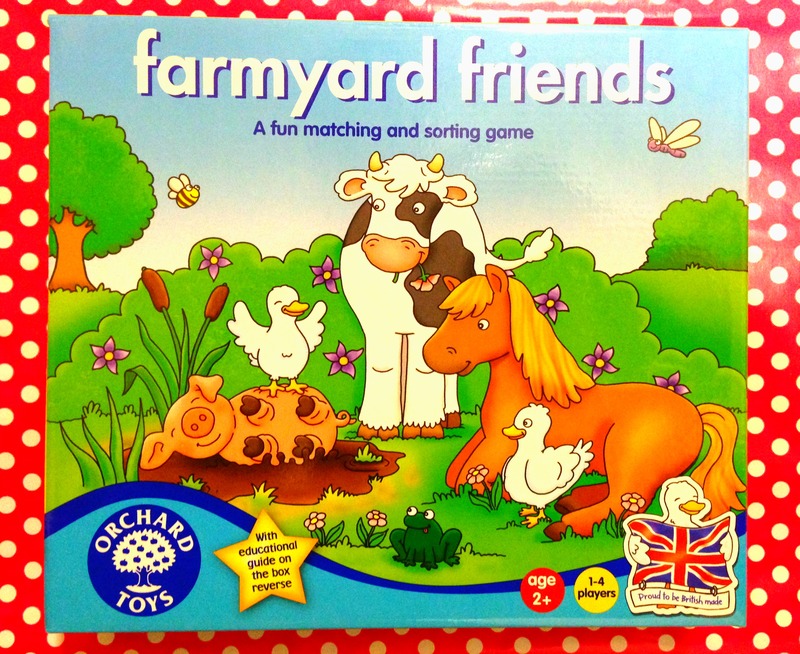 Farmyard Friends is first game activity, designed to encourage children to learn about basic game play roles, how to follow instructions, turn taking, matching, sorting and classification.It is created from 100% recycled material and is for children aged 2+ and is a 1-4 player game. In order to play the game there isn’t a necessity for someone to “win”; it is about having heaps of fun, creating bonds, building confidence in the players in their ability to take part and learn along the way. 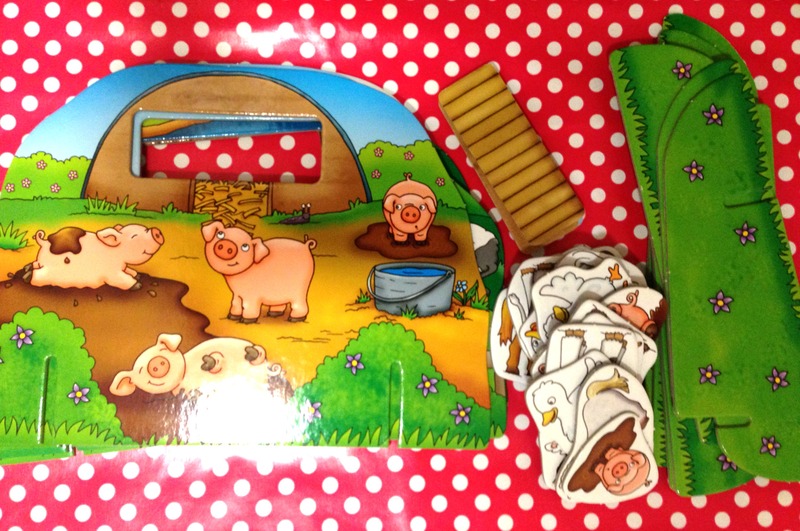 Farmyard Friends as a game contains 4 double-sided animal scene boards with supports and 16 animal cards. 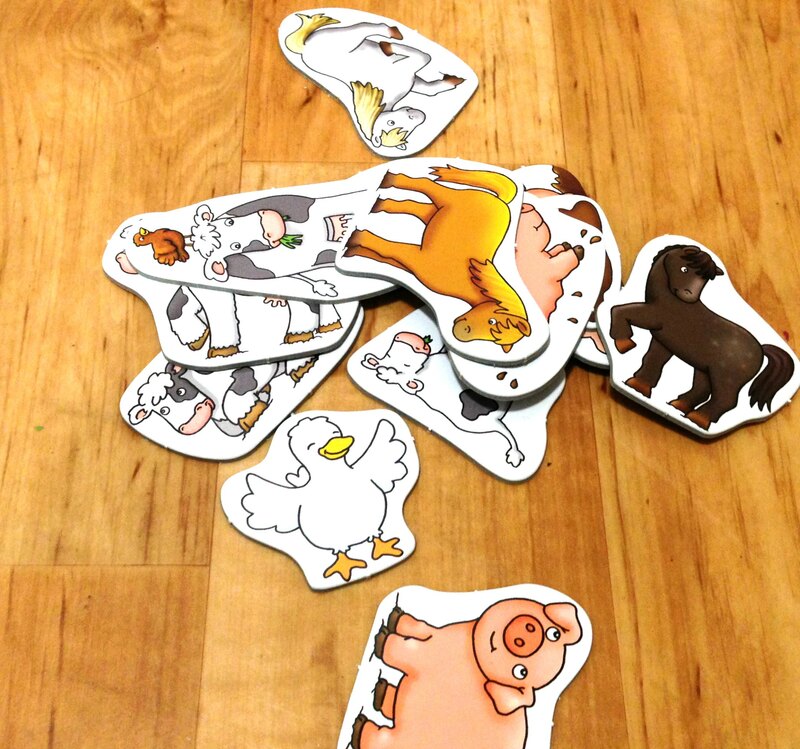 It is a super easy game to assemble and the double sided animal scene boards mean there are two ways to play this super fun game. What I noticed first (and every time we play with an Orchard Toys game) is how bright the colors are, how clear the pictures are depicted and most importantly the durable thick card material the game components are made from. Conor and Hailey both enjoyed playing this game.x Conor figured out straight away how to play it without any prompting from me at all. He was happy to match and sort the animals, and was able to take turns with Hailey, sharing the animal cards so she could play along. Hailey found the game so easy to play and in particular was quiet taken with the Horse shapes. As there were two ways to play the game Hailey and Conor played both. Game 1 encouraged Conor and Hailey to pick up their chosen animal card and post it in the scene board which has the matching animals. For example on one of the boards it has a scene with all the little cute horses displayed, so Conor had to pick out all the matching horses and “post” them through the opening on his scene board. Every time he would post the animal through the opening I would say the word “horse” and encourage Hailey and Conor to make the sound of the Horse. Once all Conor’s horse cards had been posted it was Hailey’s turn to do the same with her chosen Animal card. 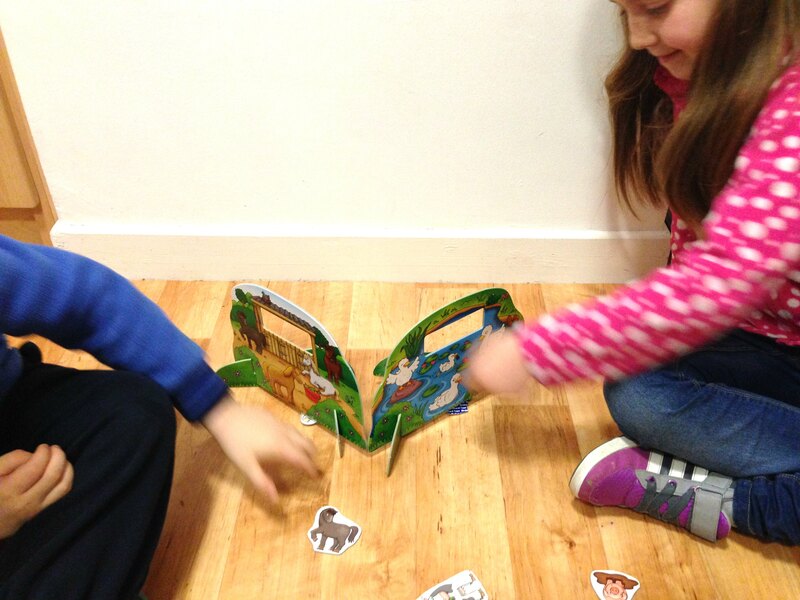 They had so much fun learning to play this fab game that they played it many times that night, and many times since. It is so easy to see why Orchard Toys are our “go-to” games of choice. 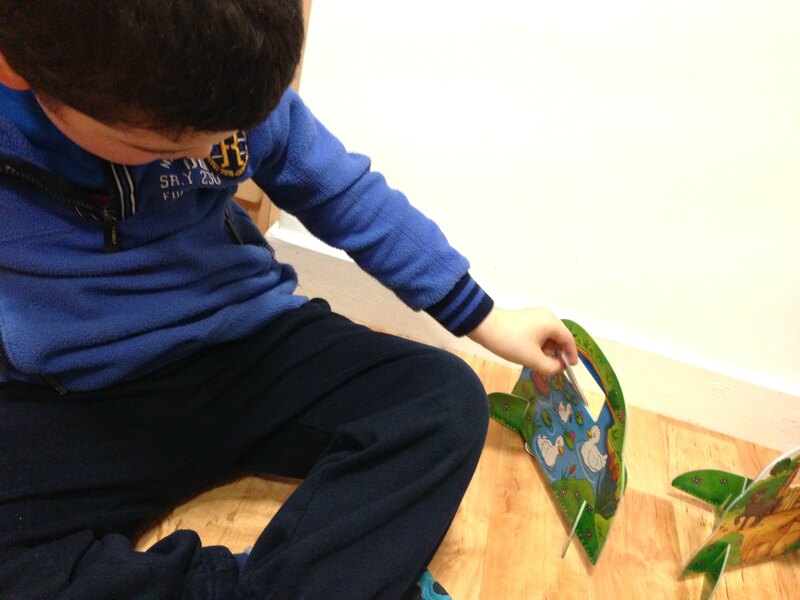 They have helped Conor so much over the years learn about social skills, turn taking, matchng, sorting, classifying. This game in particular is excellent to encourage hand/eye coordination, develop personal/social skills, shape and matching skills, together with observational skills. It is obvious that Orchard Toys are designed with education in mind and it is no surprize to find out that Orchard Toys are used in many educational and Therapeutic settings around the country. I cannot praise Orchard Toys highly enough. I know that Santa will be bringing my little people some new Orchard Toys to play with this Christmas. If you would like to find out more about this brilliant Family brand go their website which you can find here together with their Facebook Page which you can find here. I really love Orchard Toys, they are a great brand. This one looks like lots of fun! 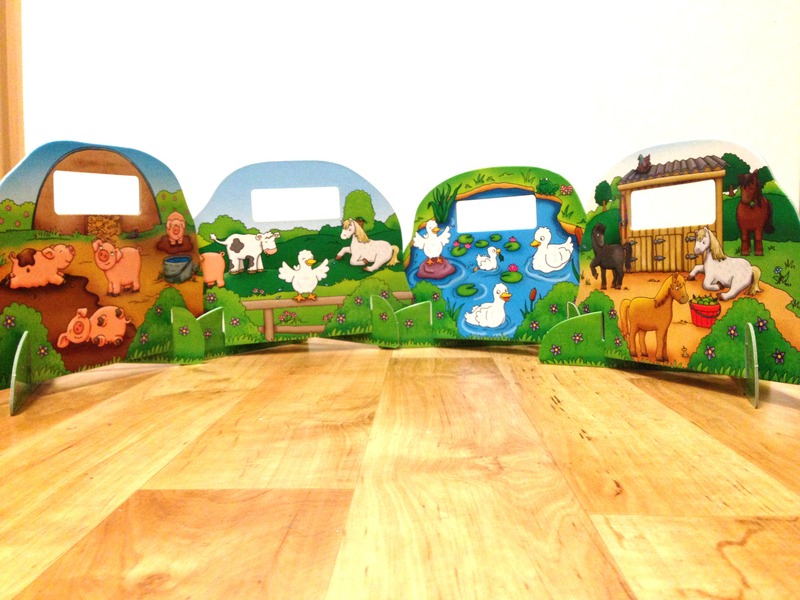 This is such a nice post and it’s really great to hear about quality ethical toys that really make a difference. It’s incredible how something simple can have a huge impact and it’s a lovely picture of Conor and Hailey playing together.